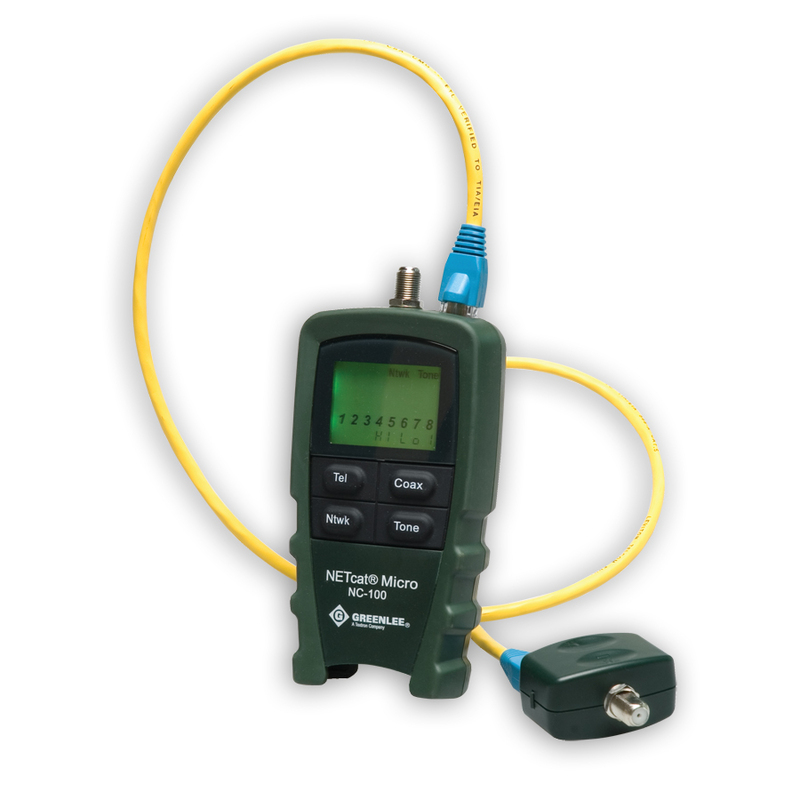 The NETcat micro is a device that verifies the integrity of bath twisted pair and coaxial telecom cables. It uses high speed digital technology to verify wiring continuity and check for the correct allocation of wire pairs, showing the results on the backlit display. Four durable keys select the test and wire tracing modes. A wide range of tracing tone options makes it easy to track and identify high performance Category 5/6/7 wiring, and the tracing tones are compatible with Greenlee's 200XP noise immune tone probe. An auto-off function helps extend the battery life. One touch Testing verifies network cabling and service. 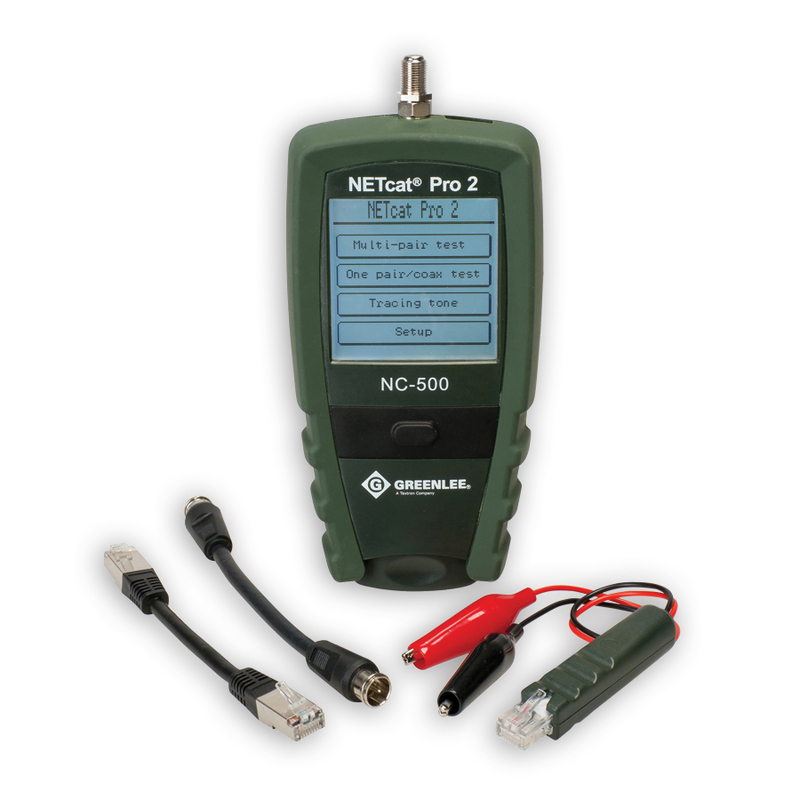 The NETcat Pro is a digital tool for fast, accurate checking of cables, wiring and network service. Operated using a back-lit touch screen display, the pro not only test wiring continuity and proper pair allocation, but measures the length of cables and determines if network service is available. 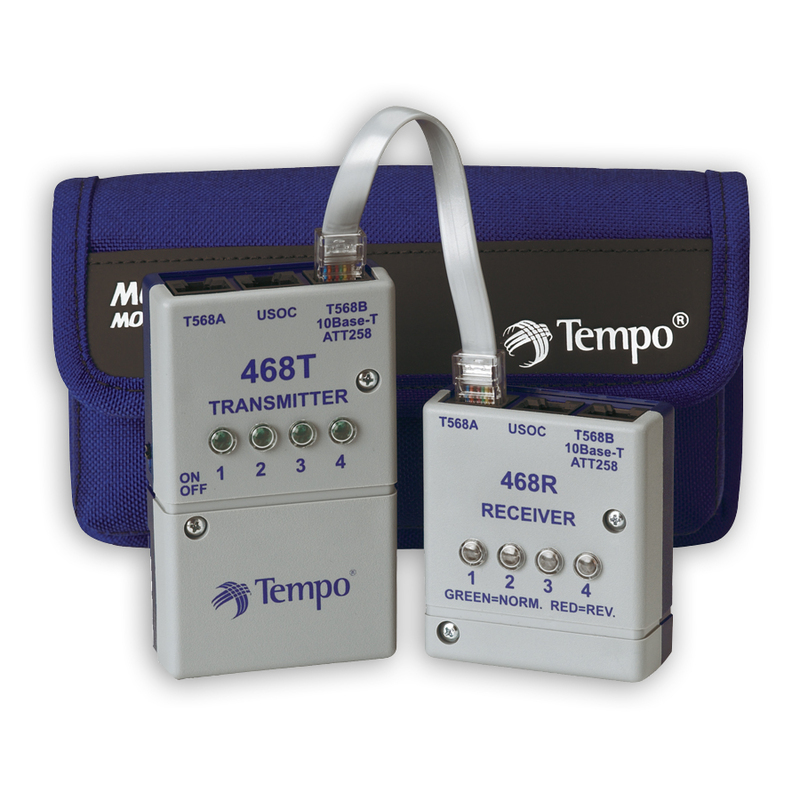 When used with the NC-510 accessory kit containing Seven (7) expansion remote test modules, the NETcat Pro can uniquely test coax or twisted pair jacks from a central location eight (8) at a time. Using either a finger tip or the built in stylus, the screen can be used to control and display a range of tests from fault finding to TDR length measurement. - Touch screen display with contrast adjustment and backlight. This kit includes the carry case and seven (7) digital remote units to be used with the NETcat® Pro base unit (not included).